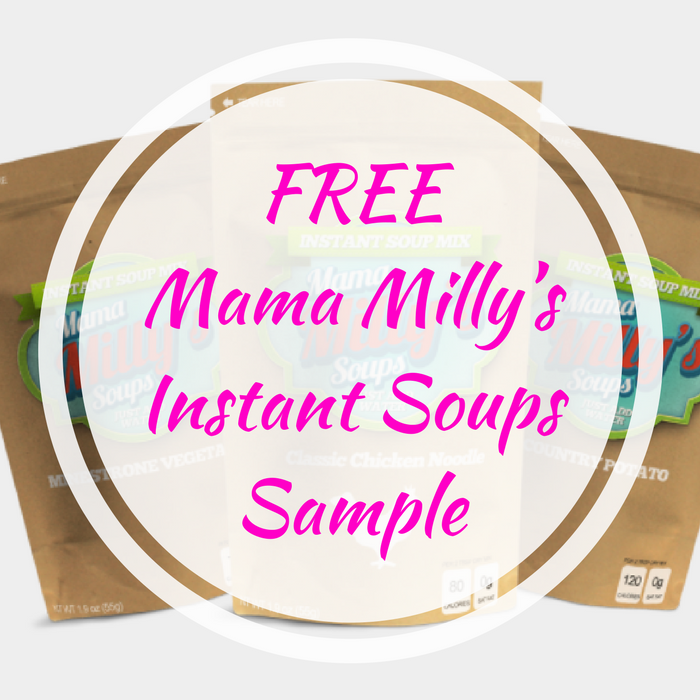 FREE Mama Milly’s Instant Soups Sample! You are here: Home / FREEbies / FREE Mama Milly’s Instant Soups Sample! FREEbie Alert! Click here to score a FREE Mama Milly’s Instant Soups Sample! All you have to do is simply fill out the short form and choose the flavor you like to try. This is a great FREEbie so don’t miss it!